It's an issue that's plagued cellphone users for years now. You like the convenience a Bluetooth headset promises, but don't want to look like a complete tool walking down the street. 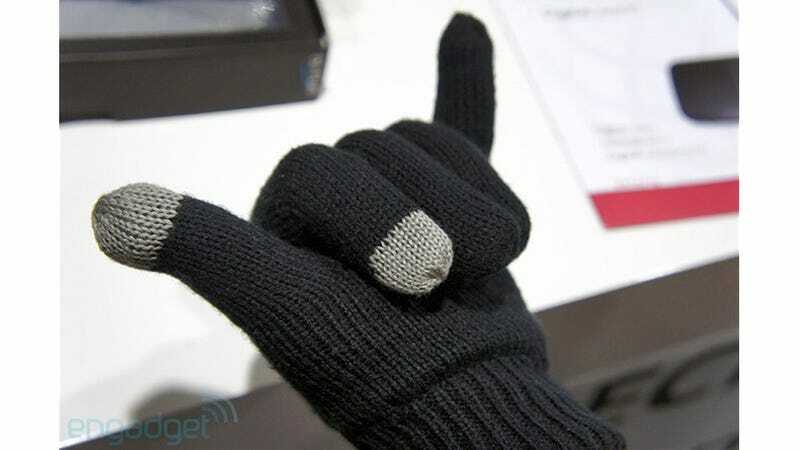 So as a happy medium, Hi-Fun has created this Bluetooth glove that lets you make and take calls like you're pantomiming the 'call me' gesture. As you can probably surmise, the glove's feature a speaker built into the thumb, a microphone built into the baby finger, and a simple set of controls on the back of the hand for pairing and other functions. The folks at Engadget took it for a spin on the IFA show floor and weren't exactly impressed with its performance—particularly since a pair will cost just north of $60 when they're available in October. And while they're clearly designed for use in cold weather conditions, it's probably not a good idea to get the electronically-enhanced gloves wet. So forget about calling in reinforcements during a snowball fight.